5.85mm men's diamond wedding ring with 3 band pattern and 3 precision set princess cut diamonds across the band. This Men's three stone Princess Cut Diamond Wedding Ring holds a total 0.15 carats of F colour, VS1 clarity diamonds. The princess cut diamonds are flush set between two polished channels running horizontally through the design. 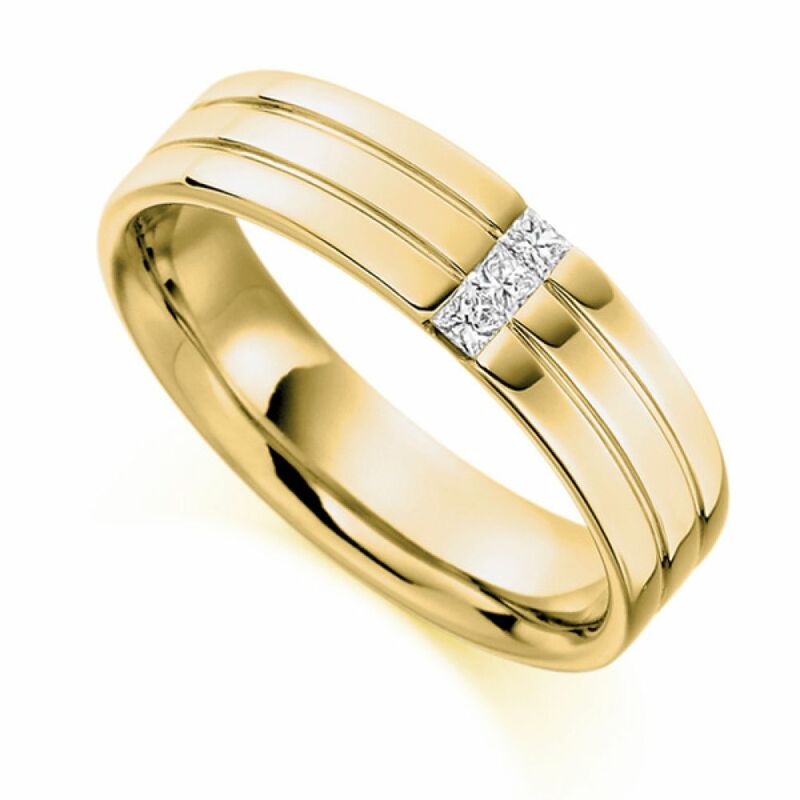 The wedding band is a comfortable flat court profile and is 5.85mm in width. Your ring can be created in a number of different precious metals, including 18ct Yellow , Rose or White Gold, 950 Palladium and 950 Platinum, to suit your personal preference. Please allow us approximately 3-4 weeks to individually craft your ring in your desired specifications. Upon completion it will be delivered straight to your door, beautifully presented in our bespoke Serendipity Diamonds packaging, ready for your big day.